Home > Calendar > "Graduate Conference in Religion and Ecology"
Hosted at Yale University, the Graduate Conference in Religion and Ecology reflects a desire to provide a space for students to engage in dynamic, interdisciplinary conversations across curricular boundaries, and strives to connect ethos with ethics, and ethics to applicable practicality. How do beliefs about the environment affect the use of and engagement with the natural world? 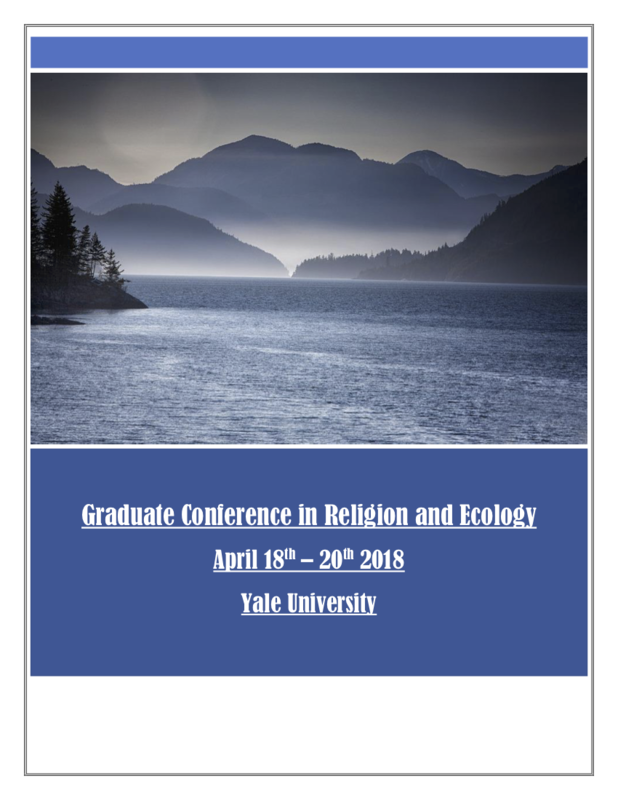 As an international interdisciplinary conference, we host students researching Environmental Studies, Environmental Humanities, Forestry, Conservation, History, Historiography, Social Sciences, Food Studies, Philosophy, Ethics & Morals, Theology, Religious Studies, Animal Ethics, Law & Policy, and Business & Management, among others. We strongly encourage interdisciplinary work across these topics to reflect the interdisciplinary nature of this conference. Our presenters range from undergraduate students to PhD candidates, and even include recent graduates who are implementing this academic work in the workplace. generous sponsors and partnerships across Yale University.